The Japanese characters translate to “Republican Party,” according to a colleague of mine at work. 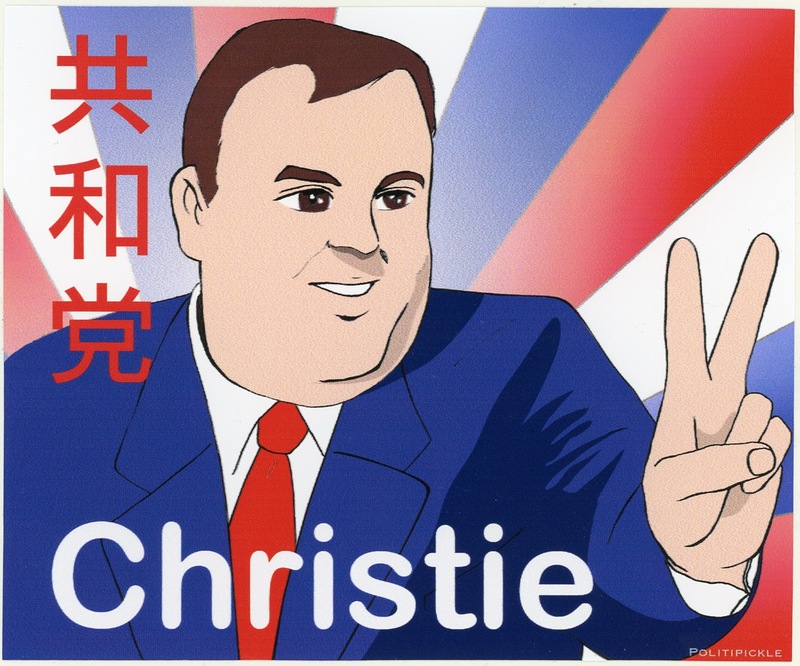 Now, what to make of a sticker representing NJ Governor Chris Christie drawn in manga style? Post-Hurricane Sandy superhero running for office? That’s my best guess.